I am taking a little siesta from writing while we are in this early time of adjusting to life as a family of four. I will post now and then as I have this recipe and a product review to share with you next month. Oh, and in case you hadn't heard the news, take a second to meet Baby W! 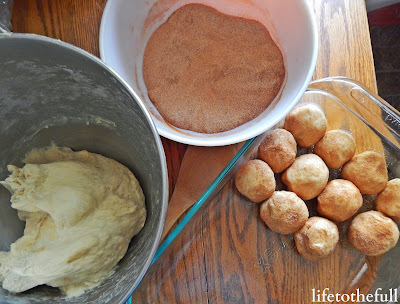 Start out with a batch of homemade bread dough (I use a version of this recipe). Don't allow bread to rise. 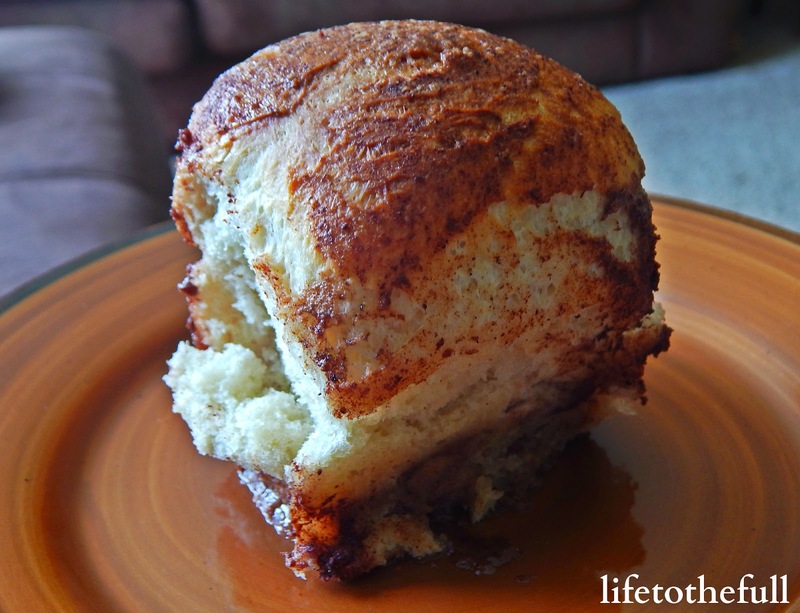 Break off into bun-sized pieces and roll in the white sugar-cinnamon mixture. Place rolled dough in greased baking pan. 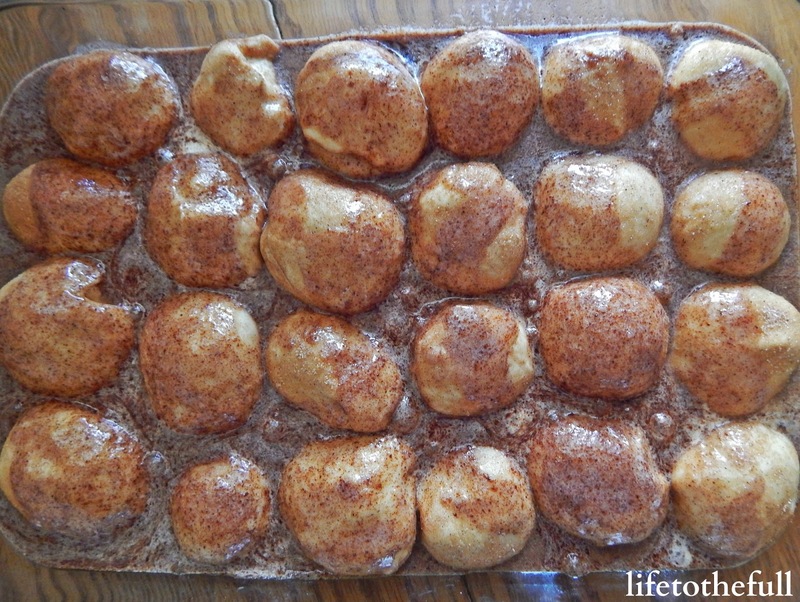 After all of the dough has been broken into pieces and rolled in cinnamon sugar, set rolls aside and make topping. 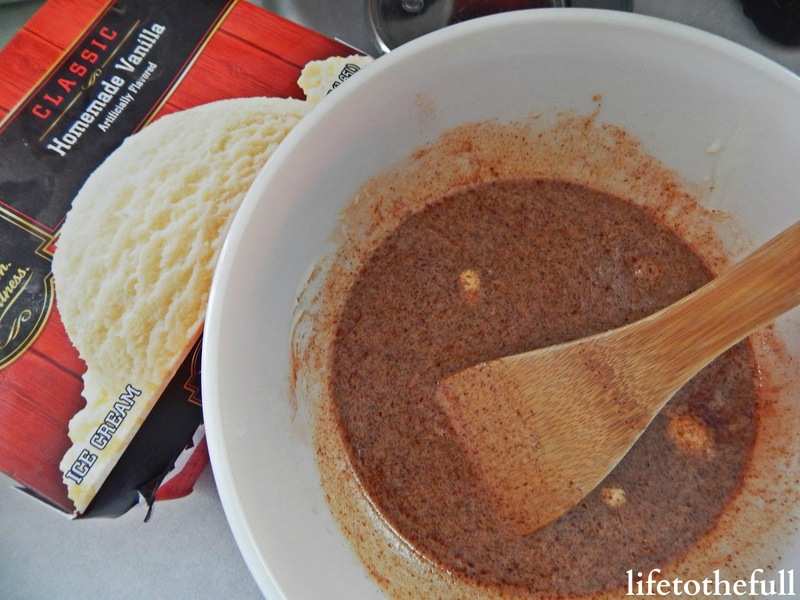 Melt the butter and pour into remaining cinnamon sugar mixture. Stir well. Melt ice cream and add to mixture. Stir until evenly combined. Pour mixture of butter, ice cream, cinnamon and sugar over the rolls of dough. Allow rolls to rise for 20 minutes in oven heated to 170°. Remove from oven after risen. Preheat oven to 375°. Return rolls to oven and bake for 30 minutes. 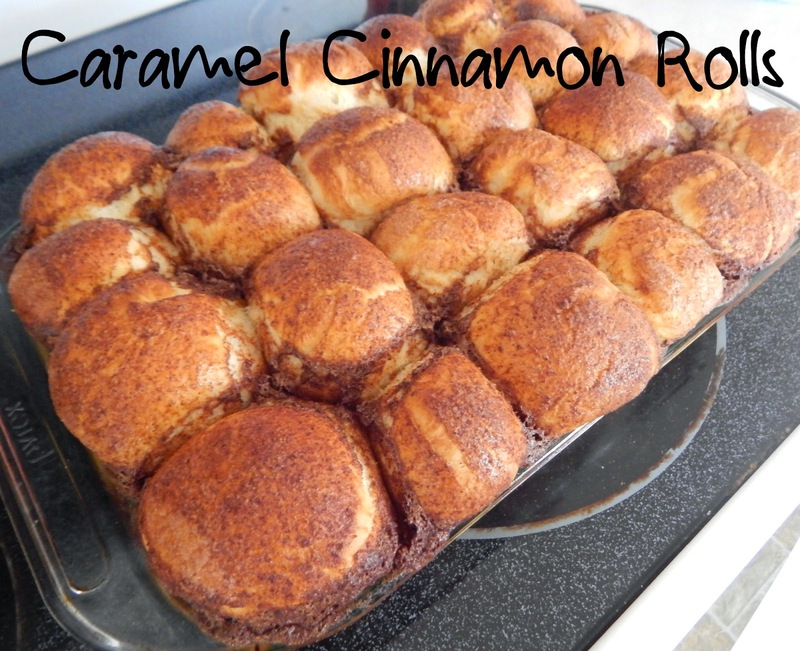 Have you made caramel rolls before? What is your favorite homemade treat? Linking up with Jessica & Jill at the Fit Dish, Fitness Friday and Mommy Moments. This looks delicious! I've never seen a cinnamon roll like this! 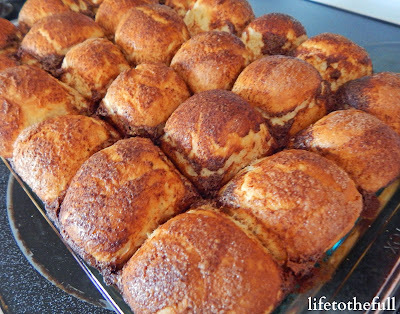 I make a pull apart bread during the holidays that is very similar to this. No ice cream though. That would be the perfect holiday treat, Jill! OMG! These look delicious. And I love cinnamon. hey there! I love cinnamon rolls! What a fun recipe! I have never seen rolls with ice cream? Fun! Nice to see you! Hope you are doing well! No No No! THESE - NEED TO BE IN MY MOUTH!